I simply cannot wait for spring. Everything wakes up from the winter sleep: the trees start to bloom, the birds come back from their migration South, and even the bugs start crawling around again. 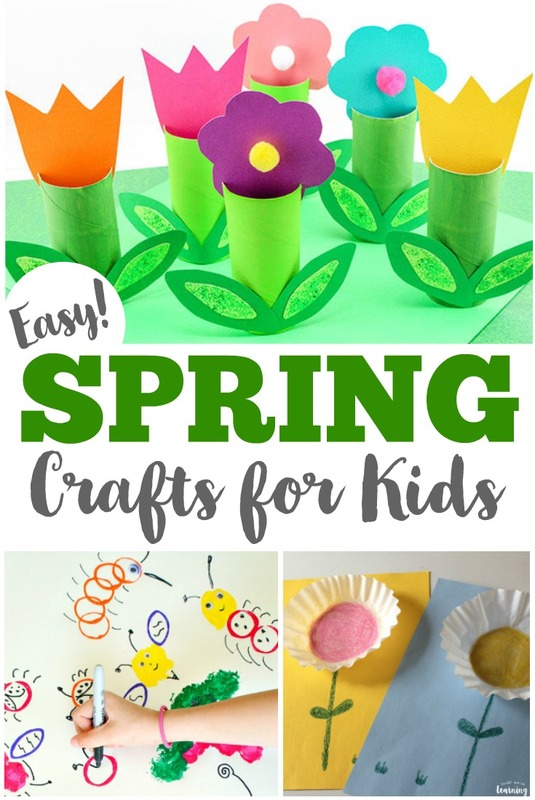 It’s a wonderful time of year to share some crafting fun and these easy spring crafts for kids are packed with fun projects you can do with your little ones! All of these crafts require six supplies or less, so you’ll have no trouble making them – even if you’re running short on time! Take a look at this list to find something you and your children can craft together. And, if you want more spring fun, add to your spring learning with this list of 50 spring books to read with kids! 1. Coffee Filter Flower Craft – Look! We’re Learning! 13. Clothespin Butterfly Craft – Crystal and Co.